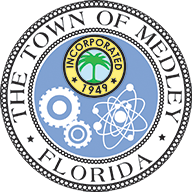 Medley has a Utilities and a Stormwater Department which provides and maintains water and sewer services to Town residents and businesses. Its Public Works Department is dedicated to the improvement of the appearance and quality of this primarily industrial community. Public Works Department is also responsible for the maintenance of the Town's Parks, roads, collection and removal of solid waste in addition to other duties. The Southern corporate office of Florida East Coast Railroad and the FEC warehouse complex called Beacon Station. Urbieta Oil Company which has been recognized as one of the fastest growing privately owned Hispanic businesses in the United States. TA Associates/Gateway Properties, which has more than 350 warehouses in Medley. Imagina has programming and production studios World-renowned Imagina has completed a state of the art production facility on N.W. 74th Street. Aljoma Lumber Company, one of the largest lumber wholesalers in the Southeastern United States. 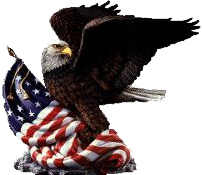 Medley is also home to U.S. Foundry, and the Titan America/Tarmac building products entity as well as SuperMix and Super Block, which also serve the construction industry. Lincoln Property Company with over 36 acres of land which includes 670,000 square feet of industrial warehousing. 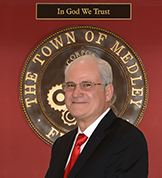 In conjunction with the local business community, the Town of Medley has a job availability program where businesses notify the Town of job opportunities so that they are made available to the community at large.